Dr John Lombard is a lecturer in the School of Law, University of Limerick. John completed his LLB (Law and European Studies) at UL in 2009, an LLM in UCC in 2010, and a PhD in UCC in 2014. John previously worked in the School of Law and Social Justice at the University of Liverpool where he lectured in Medical Law and Equity. He has also previously worked as a research assistant in the Governance, Risk, and Compliance Technology Centre based in UCC. John’s research interests lie in the areas of Medical Law, Public Health Law, Bioethics, and Intellectual Property Law. 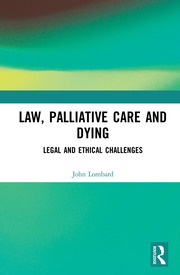 He is particularly interested in the legal and ethical issues that arise at the end of life, as well as the development and impact of public health regulations that shape how we live and work. In the area of Intellectual Property Law, John’s research has concentrated on the intersection of IP and Health Law as it applies to the control of NCDs. He is also interested in exploring novel and emerging aspects of copyright law and protection.